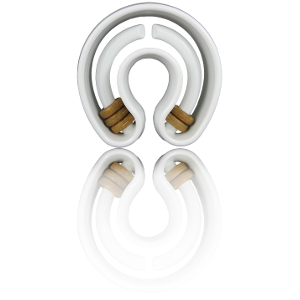 Holds Edible Treat Rings Treat Rings are held in place by inner rod and must be chewed to be removed. Treats also fit sideways into toys between toy wall and inner rod. Great for Dental Hygiene Treat Ring system encourages chewing.